2 bedroom sea view apartment with balcony, indoor and outdoor pool, ideal to rent for short let holidays located in Mellieha, Malta. 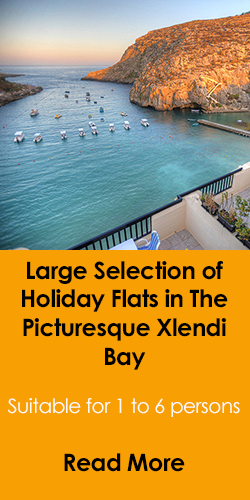 Close to bus stop, restaurants, cafes and Malta's largest sandy beach of Ghadira. 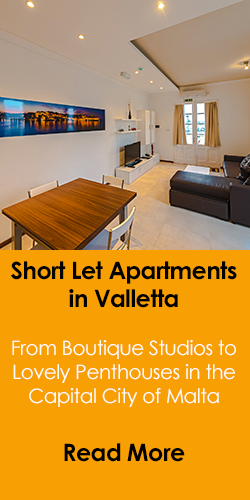 Lovely studio apartments located in the heart of Mellieha. Guests also enjoy the use of an indoor and outdoor pool, sun terrace, spa, and fitness center. A great choice for those seeking an alternative to a hotel in Malta of superior quality. Studio apartments of a high quality standard in the heart of Mellieha Malta offering accommodation for up to 3 persons, free wifi ,well located close to all amenities and tourist attractions. Beach nearby, Bus stop 3 min away, Indoor and outdoor pool, Gymn. Town Views. Spacious 3 bedroom holiday villa apartment with pool and heated indoor pool sharing between only 3 apartments. Forming part of a private villa property. Sandy beach of Mellieha is only a 5 minute drive away. Free Wifi. SPECIAL DEAL AVAILABLE. One bedroom apartment in the heart of Mellieha Malta offering accommodation for 4 to 5 persons, FREE WIFI ,well located close to all amenities and tourist attractions. Beach nearby. Bus stop 3 min away. Indoor and outdoor pool. 2 bedroom apartment located on the hilltop village of Mellieha, close to bus stop, amenities and attractions including the beach of Mellieha bay which is just down the road. 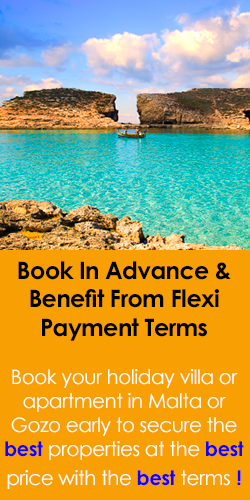 Self catering accommodation for up to 7 persons in an excellent area of Malta. First floor holiday apartment to rent in Mellieha, Malta, just across the road from the beach front resort of Ghadira. 2 mins walk to bus stop, seaside restaurants, cafes. Excellent location, beautiful sunsets and great value. Beachfront sea view apartment in Mellieha, Malta. Seconds away from one of the largest sandy beaches on the Island. Two bedrooms Sleeps a maximum of five persons, Free Wifi available. Excellent location and value. Seaview apartment in Malta, Mellieha, fantastic sea views from a large terrace, enjoying 2 bedrooms, lift access, beach within walking distance, bus stop, restaurants. Excellent location, available for short lets. St Maria Estate in Mellieha. One bedroom apartment rentals with a roof top pool with sea views from terraces. Located within a 5 minute drive to sandy beaches and little coves which are ideal for swimming lovers. Two bedroom designer finished penthouse apartment rental in Mellieha, finished to high standards and located in an excellent area with fantastic views. Providing holiday accommodation for up to 5 persons. Offering partial sea views, air-conditioned holiday apartment in Malta. Modern furniture, two bedrooms, living/dining area with fully equipped kitchen, bathroom with bath tub. 2 balconies. Free WI-FI. Holiday apartment in Mellieha offering partial sea views. Air-conditioned, two bedrooms, 32" LCD TV with cable channels, living/dining area, fully equipped kitchen, 2 balconies. WIFI enabled. 3 bedroom holiday apartment for short lets in Santa Maria Estate Mellieha. Rooftop Swimming Pool. One bedroom with a double bed and the other two with two single beds. Close to all ameneties and northern beaches. Airconditined wonderful 2 bedroom apartment rental in Malta forming part of a villa sharing a pool with two other apartments. Enourmous swimming pool deck with sun loungers, views, BBQ, splash pool. An excellent place to stay. Mellieha (St Maria Estate) apartments for rent with a roof top pool and sea views from terraces. Modern and recently built multiple one bedroom apartments that may accommodate 2 persons for holidays in Malta. Mellieha, holiday apartments. Recently buily one 1 bedroom apartments for short lets with a roof top pool and sea views from terraces. A few minutes drive to the sandy beach of Mellieha Bay. Two bedroom apartment rental in Mellieha, forming part of a Villa. Guests enjoy the use of a shared swimming pool, splash pool set in tranquil surroundings. Nothern beaches nearby. WIFI enabled. Air conditioned Two self catering apartments forming part of a villa in St Maria Estate, Mellieha, Malta. Two bedrooms, accommodation for up to 5 persons in the peaceful area of Santa Maria Estate, an ideal place to relax. Short let apartment in Mellieha, Santa Maria Estate with 2 bedrooms sharing a large swimming pool with two other apartments. Fully equipped for self catering holiday rentals in Malta. Accommodation for 1 to 6 persons. Beach front two bedroom apartment in Mellieha with direct sea views. Literally 2 minutes way from the Ghadira Bay sandy beach, restaurants, cafes, bus stop. Excellent place to stay for your holidays. Highly Recommended. 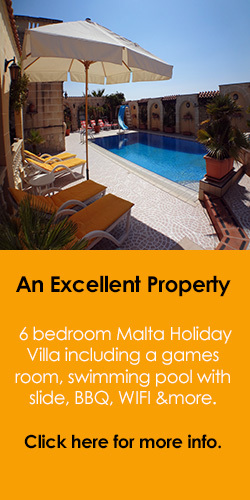 Holiday accommodation in Mellieha, Santa Maria Estate, Malta in one bedroom apartments that may sleep up to 2 persons. Use of a roof top pool enjoying sea views from the pool deck. Excellent property and location. Modern and recently built one bedroom apartments available for short lets in Mellieha, Malta enjoying the use of a roof top pool with sea views from terraces. Located in the exclusive area of Santa Maria Estate. A selection of eight apartments for short lets in the estate of Santa Maria, Mellieha, Malta. 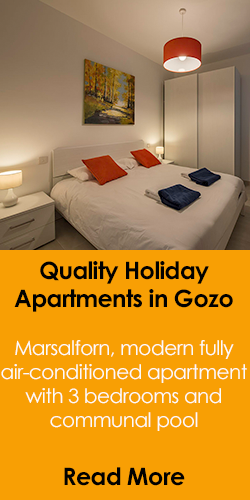 Various apartments are available from studio apartments, one, two & three bedroom apartments. All making use of a shared pool. Rent an apartment in Mellieha in these two bedroom holiday flats, enjoying use of a roof top pool which is shared with another five apartments. Minutes away from the picturesque Mellieha Chapel. Mellieha accommodation in two bedroom holiday apartments enjoying use of a roof top pool in this small block of apartments. Located a few minutes drive to the sandy beach of Mellieha. Well priced for its location. Two bedroom, larger than usual holiday accommodation in Malta in the popular sea side village of Mellieha. The apartment enjoys a large terrace with both sea and inland views. Minutes away from the northern sandy beaches. One bedroom apartment rental in Mellieha (St Maria Estate), Malta with shared use of a swimming pool located within a villa property that has a total of 3 apartment units. Few minutes drive to Ghadira sandy beach. Two bedroom apartments available for holiday rentals in Santa Maria Estate, Mellieha, Malta. Rooftop pool with lovely sea and town views. Excellent location, close to all ameneties and northern beaches.